PhotonExport supplies only quality evaporation materials with low impurities & minimal surface contamination. We make a point of sourcing high purity, clean and reproducible materials. Our privileged partnerships with major worldwide material transformers grants us access to a broad range of high quality precious metal and non-precious metal evaporation materials, as well as specialty ceramic-inorganic materials to enable optimal evaporative performance for you. 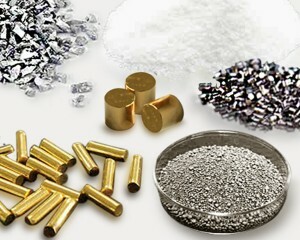 Our high purity materials are available ranging from 99.9% to 99.99999% purity.